How did you first get involved with SAQA? I got involved with the organization around 1999/2000 because I was making my own quilts and moving more toward developing my own designs making art quilts. 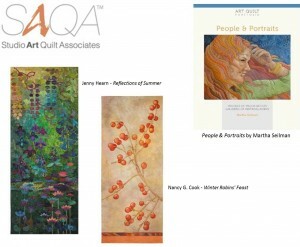 At that time, Studio Art Quilt Associates (SAQA), which was founded in 1989, had about 800 members. They needed a volunteer to run the Connecticut region, so I volunteered. 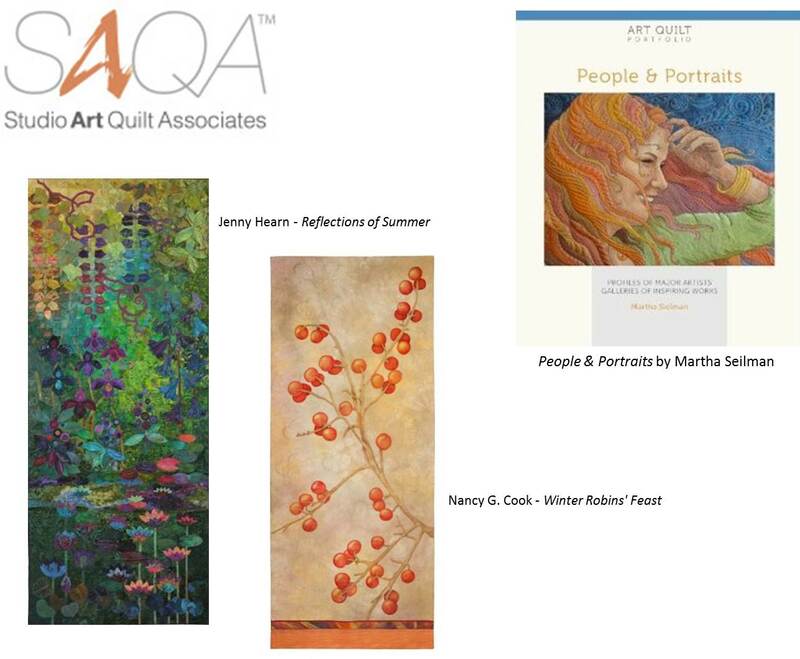 We only had six members in Connecticut at the time, but when I heard about a local art show, I asked SAQA if we could exhibit, and they said yes. Sharon Heidingsfelder, SAQA’s executive director at that time, suggested I invite other members from the East Coast to participate. To my surprise, 50 people entered. I realized then that there was a need to find exhibit venues. Art quilters wanted to share what they had created. That led to starting the “Fiber Revolution” group, made up of SAQA members in the northeastern U.S., which quickly began doing ten exhibits a year. I loved doing the organizing work for “Fiber Revolution” and found that I was spending more and more time on it and less time in my studio. So when Sharon retired in 2004, I applied to be SAQA’s executive director. Since then the organization has quadrupled in size to over 3,200 members. We’re now international in more than thirty-one countries, and we see continued growth, including in Korea, Taiwan, Eastern Europe and Africa. I’ve also been writing about the field in a number of books for Lark Publishing–Masters: Art Quilts, volumes 1 and 2; Art Quilt Portfolio: The Natural World, and Art Quilt Portfolio: People and Portraits, which was just published this past Spring. What do you see as SAQA’s role as compared with other organizations in the field? A number of organizations focus more on professional development. There are regional organizations around the country, like the Contemporary Quilt Association in Washington State, the Professional Art Quilt Alliance in the Chicago area, and Front Range Contemporary Quilters in Colorado. 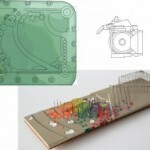 There’s also the Surface Design Association, which has close to five thousand members and is also international. 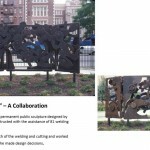 The difference is that they cover all types of surface design, while SAQA focuses just on art quilts. How do you define an art quilt? Is there a divide between this and traditional quilting? I see it all on a continuum. I think of traditional quilting as using designs and patterns that have been used for hundreds of years; contemporary quilting as using similar patterns while playing with color and form; and art quilting as completely original in design. But, as I said, trying to set a particular definition is a slippery slope and there are many, many counter-examples. What important strides have been made in establishing quilts in the art world – as compared with the past? There has been a lot more interest from the art world – at museums, at galleries, and from collectors. 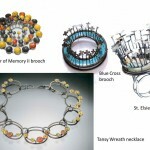 There’s a lot of cross-over happening between the fine art and craft worlds. Have you seen increased interest in art quilting? Yes, there continues to be very strong growth, including internationally. We’re finding that people, especially women, around the world are interested in working in fiber arts, in part as a reaction to the electronic world. 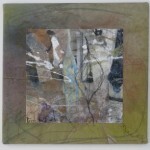 Art quilting offers a different, wonderfully tactile way to express oneself. What new developments, products, and techniques are you most excited about? The biggest development that I’ve seen is the increased interest in long arm quilting machines being owned privately. The machines are quite expensive and take up a lot of space, so they were originally designed for industrial use – where people who bought them intended to do quilting for others. Now, individuals and small groups are buying them for their own use. I often talk with people who say they’ve been thinking about the purchase for a while and are willing to devote a room in their house – sometimes even the living room – to set up a machine. 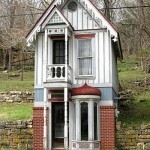 I think that reflects a change in our society to being less formal, and using space in the house differently. There have also been changes in sewing machines, where some are more of a hybrid that can offer more speed and cover a larger surface area than a standard machine, but which are less expensive than a traditional long-arm. 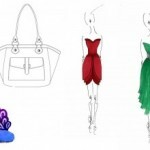 Other trends I’ve noticed are the use of recyclable material, use of sheer fabrics, and working in three dimensions. On the color side, there’s a lot of use of neutrals now, rather than jewel tones and saturated colors. I see growing interest in quilting because people have a desire to make things, to express themselves creatively, and to connect. Art quilting offers a great way to immerse oneself in doing all of that. Martha Sielman has been Executive Director of Studio Art Quilt Associates, Inc. (SAQA) since 2004. Her career in art quilts began in 1988, when she learned to quilt, and has included more than 20 years of work as a professional artist, author, lecturer, curator, juror, and arts administrator. She is the author of Art Quilt Portfolio: People & Portraits; Masters: Art Quilts, Masters: Art Quilts, Volume 2, and Art Quilt Portfolio: The Natural World. This entry was posted in Art Education, Fiber Art and tagged art, Design, fiber, quilting by artstomarket. Bookmark the permalink.